There are many curious things which you see in the land of the rising sun. One such oddity I will simply call ‘the white glove curio‘. 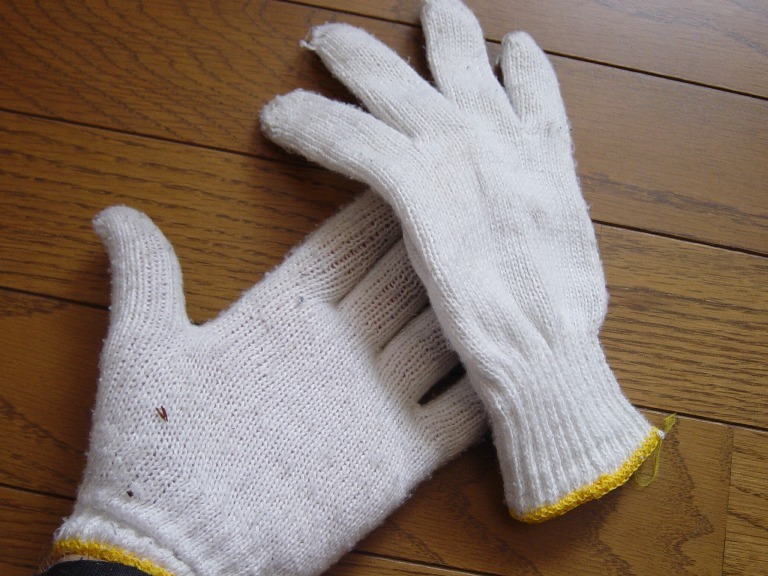 Seeing men and women – though particularly man wearing these white cotton numbers is a common occurrence: riding a bicycle, walking the dog, taking the train, repairing a bicycle, vacuuming the car or just for keeping the hands warm during a winter walk or run – you will see the magic white gloves. I myself have worn them whilst running and they are great. Rice farmers, traffic controllers and road workers also all sport them and they can be purchased in the large hardware-type shops like Home Center, Cainz Home etc. 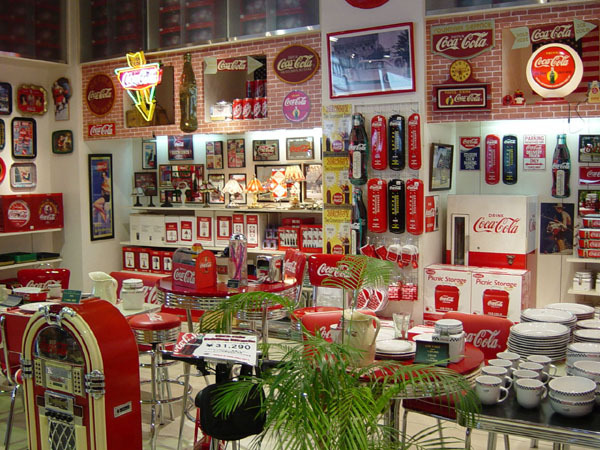 This is something I’ve only seen in Japan – maybe this curio is a spin-off from the obsession many Japanese have with cleanliness? You decide…. 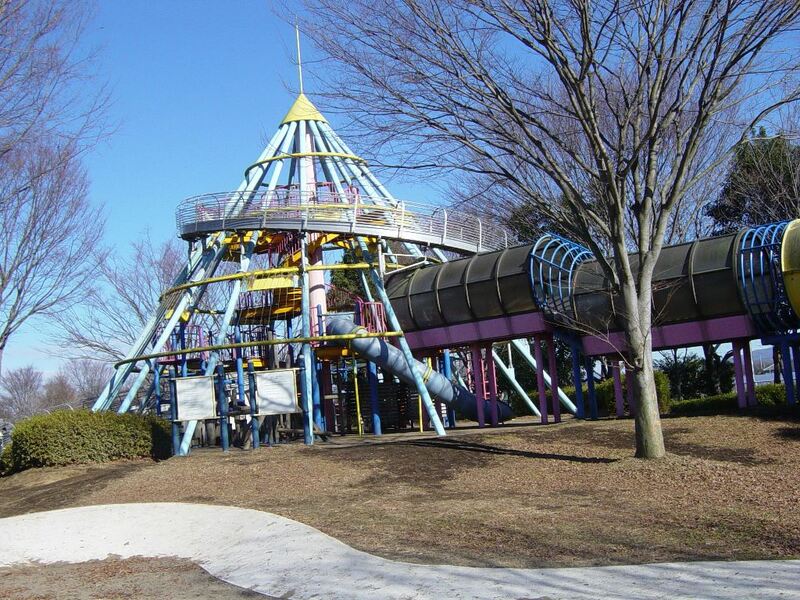 Some of the playgrounds and parks in Japan are a kid’s paradise. 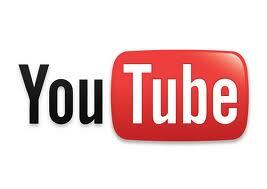 Swings, tunnels, learning activities, ropes to climb etc and my favorite – the big slides they build. They are in theory similar to the old ‘rolling pipe’ system used in factories which was how boxes were moved from one location to the other; and this simple concept is how these slides operate. You just sit down at the top and your body weight moves you along the slide – there is metal framework on either side so you don’t fall out. These are a ton of fun ! Unlike other countries, playgrounds and parks in Japan are seldom vandalized so we offer another thumbs up for that! Some of the parks in Japan have lakes filled with fish – usually giant carp of all colors – and you can often purchase fish food to feed them. The parks are well maintained and some contain flower beds which are a delight to see when in bloom. So be sure to look out for this unique slide next time you take your kids to a park in Japan. I am writing here about what is possibly my favorite Japanese food – and naming it as my first choice is by no means an easy decision. It just pipped gyudon and sashimi into the number one slot, which was quite a feat believe me. Gyudon was the first Japanese food I got hooked on – and I would eat a lot of meals at Yoshinoya – but I will write about the great Yoshinoya experience at another time. I’ve heard Kara age referred simply as ‘Japanese fried chicken’, but to easily dismiss it with that label is doing the dish a great injustice. When you buy Kara age you don’t get wings or legs – and sure it is fried – but it’s the preparation and the way it’s cooked which makes it so tasty. Good Kara age is marinated for some time, and then fried twice to ensure crispiness. On a cold winter’s night, this dish – served with boiled rice, diced cabbage and topped with kewpie mayonnaise – is the best meal I can imagine. 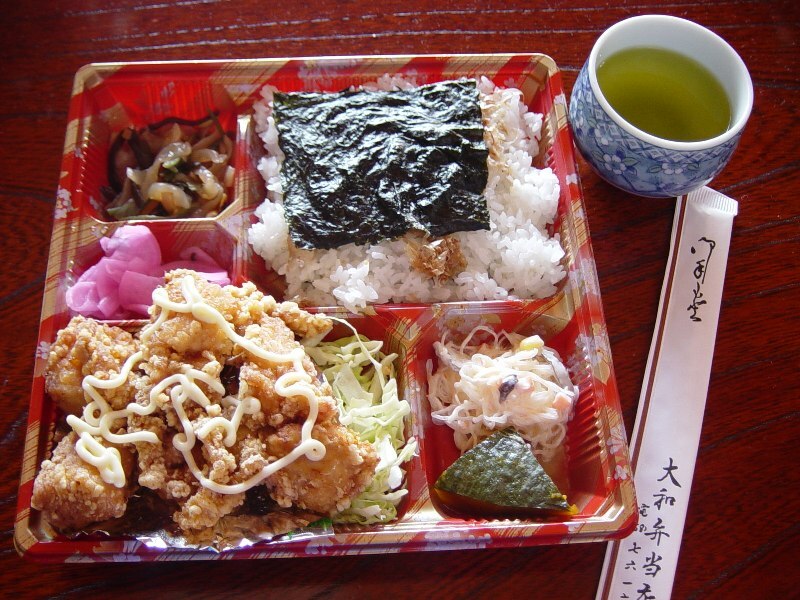 Some nights after work I used to stop off at my local Hokka Hokka Bento shop and the lady who did all the cooking would cook me up a mean Kara age bento, and besides the rice and diced cabbage, it would also contain sliced pickle. So forget about sushi, sashimi or any other meal when you first arrive in Japan – be sure to order Kara age. Oishi desu ne (tasty isn’t it). 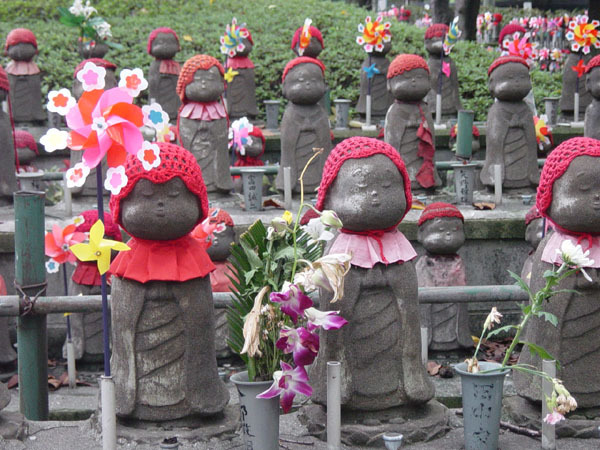 These miniture statues are known as Ojizosan and can be found all over Japan. Most often they are dressed in knit caps, or miniture jackets. They are dolls created from pottery and have spiritual powers – protecting children mostly, but also travellers and the elderly – they are meant to watch over something or someone and I think that it their main purpose. They also watch over the spirit of children who have died young and are dressed so accordingly. 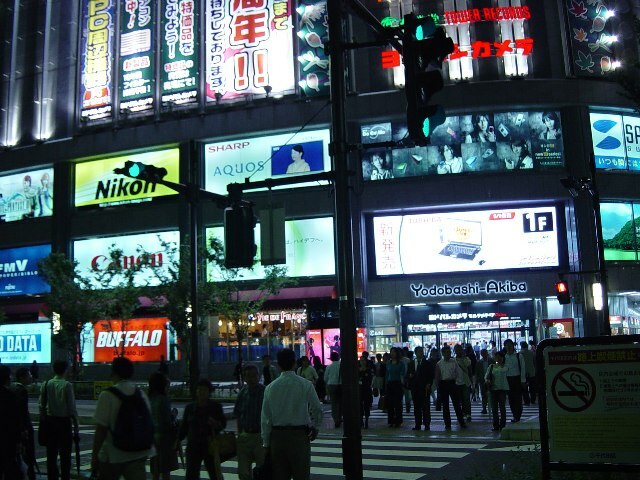 The image was taken very near the Tokyo Tower. There are pottery places (I think in Kyoto but most likely other towns) where you can partcipate in creating your own Ojizosan. Please show respect when you see and photograph Ojizosan. A staple of the japanese diet is gyoza – those tasty, meat filled pastries which are often served as an entrée, a side dish, or as a meal themselves with rice. 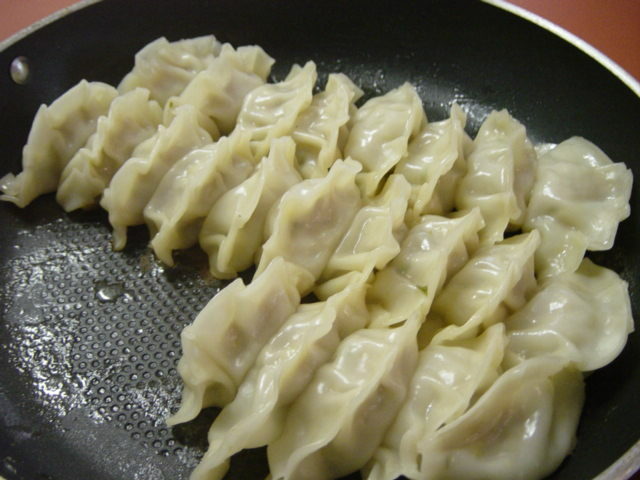 These are similar to Chinese dumplings or boiled dumplings. However I believe that the main difference is that in Japan, the bases of the dumplings are fried in oil first, which is a slighty different method to how the Chinese cook them. I usually eat them before a bowl of Ramen, and on a cold winter’s day, it’s the best combination I can think of. They are relatively inexpensive and are best eaten dunked in a mixture of soy sauce and vinegar. If you wish to attempt to cook them at home, you should be able to purchase the ingredients at your local Asian grocery store. Be sure to add gyoza to your list of foods to try when you visit Japan ! I quite enjoy the gyoza and ramen served at Ichibantei – a Ramen chain restaurant found in many locations throughout the country. Itadakimasu !